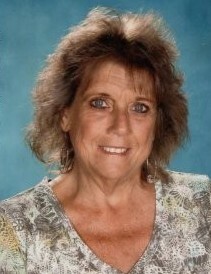 Donna Marie (Kecki) Jette, age 60, passed away peacefully at home surround by her family on Wednesday, March 27, 2019. Donna was the daughter of Thaddeus Kecki and the late Jane Kecki of South Hadley. She grew up in South Hadley and was a graduate of South Hadley High School. Besides her father, Donna is survived by her husband of 39 years, Michael Jette of Chicopee, her sons: Michael Jette, Jr. and wife Sheena of Chicopee and Matthew Jette and wife Larissa of Boylston. She also leaves 4 grandchildren: Destiny, Noah and Arianna Jette and Mayah Viera, as well as one great granddaughter, Peyton Bryant. Donna also leaves her brother, Michael Kecki of Belchertown and sister, Lori Jagodowski of South Hadley, and several nieces and nephews. She worked for 20 years for the Chicopee School System at Bellamy Middle School as a paraprofessional with special education students. Donna loved spending time with her family and friends at get-togethers listening to 80’s hair band music, preferably by her pool. She loved her shopping trips and bingo nights with her friends. Donna liked to spend her weekends camping or taking trips to the beach. Family and friends are invited to meet for a Mass of Christian Burial on Friday, April 5, 2019 at 10:00 a.m. in St. Patrick Church, 30 Main Street, South Hadley followed by a Celebration of Life for family and close friends at Summit View, 555 Northampton Street, Holyoke. There are no calling hours. The Barry J. Farrell Funeral Home is handling the arrangements. In lieu of flowers, memorial contributions may be made in memory of Donna to Dana Farber Cancer Institute, PO Box 849168, Boston MA 02284.